Wow! 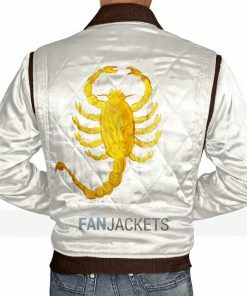 The credit goes to Fan Jackets for selling such products. I ordered this, and so far it’s serving to be a great apparel for winter. I like its detailing on the sleeves. And the hood makes it’s even more convenient for me to adjust according to the weather conditions. I feel now I don’t need to buy other apparels for cold season as I have this one. My dad adores every feature of this apparel. I purchased this for him and just like me, he was also inspired with this spectacular jacket. 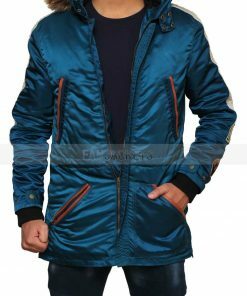 Temperatures are dropping here very fast, and this jacket has proven to be a source of much assistance to him in this extreme cold weather. Thank you Fanjackets!! My husband loved this jacket when I bought it for him on Christmas. I got lucky that I ordered it a few days earlier because the jacket came a few days late. He loves to wear it casually. Helping me a lot during the winter season. I was looking for a jacket with simple but sleek looks, and I came across this jacket. The jacket is plain and simple but its shining material makes it stand out from the crowd. Everything is good except for the customer service agent who took so much time to respond to my emails. I was wondering if I would get a perfect fit jacket or not, but to my surprise it came out well. I am a bit bulky and weigh about 110 kgs. I was a bit hesitant at first but after exchanging emails with the support guy I went ahead with my purchase. I bought this astonishing jacket and it fitted me well. It is very comfortable to wear and has a very attractive look. This jacket is inspired by Diego Luna’s character Captain Cassian Andor in “Star Wars: Rough One” movie. The Star Wars Rogue One Jacket is specially tailored to depict the character’s appearance. It is made of nylon and is available in blue color. It consists of two internal pockets while viscose lining is stitched inside and includes a hood with faux shearling fur. Grab this and mark your personality as a fashion lover. Order Cassian Andor jacket now.